The Ultrasound Department at Derriford hospital is part of Medical Imaging. We provide a wide range of ultrasound services except ophthalmic, cardiac, and some peripheral vascular work. There are other separate departments within the hospital that provide these ultrasound services. The main scanning department is in X-Ray West and there is a separate unit for pregnancy scanning in the Ante-Natal Clinic. 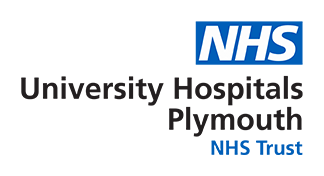 Some scans may be arranged at one of the peripheral sites that we operate, these are at the Cumberland Centre, in Devonport, or at Liskeard Community Hospital. We can perform other procedures and these and more complex diagnostic problems are best discussed with one of our radiologist or sonographer consultants. Access to some services is often more rapidly achieved by referral to fast-track specialist pathways that are set up for haematuria, jaundice, suspected DVT, etc. For advice on any referral dilemmas please contact the department , or one of our consultants. To prevent delays please ensure that request cards include full patient information, the name and location of the referrer, any special patient needs, and enough clinical history to ensure the correct procedure is carried out. Requests may be prioritised on the basis of the information given. We are open in the main department and antenatal clinic, from 8.30am until 5pm, Monday to Friday. We also run occasional clinics (not obstetrics) in the early evening, up until 7.30pm. Peripheral sites operate at varying times, contact the main ultrasound department in X-ray West if you have any enquiries. Out of hours scanning service (for inpatients only), is by arrangement with the on-call radiologist. For more information about Any Qualified Provider click here. To download the answers to a list of frequently asked questions click here. Ultrasound scans are performed by specialist doctors, and other health professionals. In order to become a sonographer (someone who performs ultrasound scans) you have to be a qualified health professional, usually a radiographer, midwife or cardiac technician, and then undergo further training to get a post-graduate qualification in ultrasound. Please find more details of postgraduate ultrasound training courses via this link.